Jim Ross Believes Asuka Can Still Be A "Major Star"
Jim Ross believes WWE "dropped the ball" with Asuka, but is adamant she is still a future major star. The saying used to go, “No one is ready for Asuka.” That stopped being so true when Asuka lost to Charlotte Flair last year at WrestleMania 34. Asuka would drop the WWE SmackDown Women’s Championship that night after tapping out. WWE has struggled to recapture the mystique and dominance that Asuka once so easily exuded. “The Empress Of Tomorrow” has gone on to lose against a number of different women including Carmella and Mandy Rose. 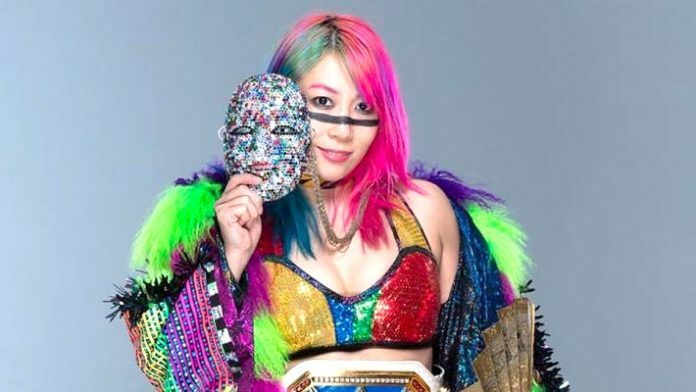 During a recent episode of his podcast, The Jim Ross Report, JR would share his thoughts on this Asuka conundrum, highlighting WWE’s “mismanagement” of her since the ‘Mania loss. “It has been mismanagement [of Asuka],” Ross confirmed. “I thought Asuka…the ball was dropped last year at WrestleMania after she lost her undefeated streak to Charlotte. They had a great match,” he admitted. Ross would go on to express his frustrations over WWE’s handling of Asuka since then, believing she could be another “major star” for the company. Asuka recently retained the SmackDown Women’s Championship against Mandy Rose at WWE’s recent Fastlane event. With their annual extravaganza event just around the corner, however, Asuka is still without an opponent for WrestleMania 35 — despite Lana’s declaration that she would be facing her.